Iran is a country which is considered not only by impartial observers, but also by prejudiced ones, to enjoy a prominent culture. Even those who criticize it never forget to point out its cultural, historical, literary and artistic riches. The great Iranian poets like Hafez, Sa'di, Mowlana, and Khayyam have been role models for many literary figures of the west an outstanding example of which is Goethe’s love for Hafez. Also, the current enthusiasm of western societies for Mowlana, Sa'di, Khayyam, and Roudaki cannot be easily ignored. Even when it comes to such arts as painting and music, which did not prosper due to religious limitations, the country is still rich. Abu Nasr Farabi, who is known as father of the Islamic theosophy and philosophy (and is known as “the Second Teacher” as opposed to Aristotle who is “the First Teacher”) was also a great musician and his book, Great Book of Music, is world famous. It is only cinema which is not an independent art in Iran because it is a direct product of the west and is closely interlinked with industry. The history of cinema in Iran, which includes history of film music, can be divided, like other parts of the world, into silent and sound eras. As cinema was taking shape in Iran, music players were present at movie theaters to perform musical pieces when the film was played and sometimes a complete group of performers were there to play musical pieces. The Iranian music, however, is played within framework of certain musical systems and unlike western music, is not a good accompaniment for films. The present traditional Iranian music is still based on the same ancient pillars and is one of the most pristine forms of music in the world because it has been transferred from one generation down to the next in centuries. In musical tradition of Iran, the disciple sits face-to-face with his mentor and keeps in mind what he learns from the mentor until he becomes a master. The trainees are sometimes prejudicially careful not to allow the least damage to traditional musical systems and to hand them down in their intact form to the next generation. Even today that notes and musical alphabet govern all aspects of the Iranian music and there are symphonic orchestras and conservatories to teach western music, some traditional musical mentors prefer the old face-to-face method for their disciples. The Iranian music enjoys strong foundations and follows suit with the love poems of Iran whose main mission is to interpret and explain spiritual and mystical concepts of the spiritual theosophy of Islam. This kind of music has not matched cinema in nature and cannot reflect everyday events of life as they are shown in cinema. Even when reflecting on love, it uses worldly symbols of love like beautiful eyes or face only allegorically in order to show human beings’ love for God and is not very compatible with human love. Therefore, masters of traditional musical instruments like sitar, cymbal and stringed instruments could not take their instruments into movie theaters to accompany movies. So, what kind of musical performers did that? To answer this question, we must refer to memoires of contemporary Iranian musicians. Due to my love for the late Morteza Hannaneh, I traveled from provinces to Tehran just to meet him in person. During later years of his life, there was strong friendship between me and him and the result of that friendship is a book entitled Conducted by Morteza Hannaneh which is a Persian book about a score composer in Iran. Hannaneh told me that when he was as student at the Iranian conservatoire, which was known as Music Technical School, students performed musical pieces at cafés and cabarets in order to make a living. Then they started performing music to accompany silent movies. They were musical performers who did not focus on traditional music, but due to their work with symphonic orchestra, were actively learning western music. However, a special group of traditional musical performers about whom I will explain below, have been playing music at movie theaters which screened silents and there is good evidence to uphold this claim. The first Iranian sound movie was screened in 1932; it was Lor Girl directed by Ardeshir Irani and casting Abdolhossein Sepanta and Rouhangiz Saminejad. Therefore, the history of sound in the Iranian cinema goes back to 80 years ago. During the past 80 years, film music has gone through five distinctive junctures. The first juncture started with Lor Girl during which film music included all musical elements of the film such as the score and songs which were sang in the course of the movie. In most cases, one of the characters just moved their lips when those songs were sang by professional singers. The first juncture lasted from 1932 to 1967 and quality of musical works produced in that juncture was generally low. 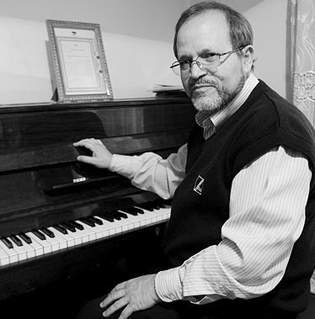 Since traditional Iranian music could not be used in cinema and new orchestration methods through which big symphonic orchestras could render original Iranian musical themes using their knowledge of harmony and accompaniment techniques were unknown, Iranian music could not be used, at least, as score. Of course, songs were used within a framework which was quite different from what we currently know as score music.